Christmas bells are ringing just around the corner. The cold air that brushes our skin reminds us of how the yuletide is fast approaching. Colorful lights and Christmas trees decorated with several ornaments will greet you from every corner. 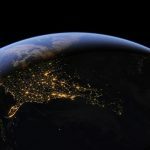 Know what you’ll soon see? People busy shopping for presents! Christmas has got to be the busiest shopping time of the year. That’s why you have to carefully plan your holiday shopping for lesser stress and hassle. In this Laguna Niguel Christmas Holiday Shopping Guide, we’ll give you some helpful tips on making sure your shopping won’t have you breaking your neck and bank. This 2018, don’t repeat your same old holiday shopping habit of making last-minute purchases and overspending. Make a list and a budget. Just like any wise shopping, start with a list. List all the people that you’re planning to give presents and the things you’re planning to buy for them. Include boxes, wrappers, cards, tags, ribbons, and more on your list. You’ll have a good idea of how much money you’ll spend in total if you come with an agenda. Make an itinerary. Always go with a plan. List the shopping centers or stores you plan for a minor hassle Christmas shopping. Work out where you will be shopping right at the start so you can prepare when you buy as well. Choose your Christmas battle. Holidays can be a dreadful time for shopping. So be careful about choosing the day of your ‘battle’ with other shoppers. Weekends can be dreadful for Christmas shopping. Mondays can be a good idea. Look for great deals. One of the great things about holidays is that excellent deals everywhere! Just be careful with some tricks of the retailers. There may be coupons on their websites as well that can be of great use. Remember all these Christmas shopping tips, and you’re ready to go home with a handful of bags filled with goodies. Smile through the hustle and bustle of Christmas shopping with a plan in mind in these shopping centers in Laguna Niguel.  One of the go-to places to shop for the Holidays in Laguna Niguel is The Center at Rancho Niguel Regency Theatre. You can shop for items of clothing and other fashionable items at Luna B., Nordstrom Rack, or The Hanger. Some cool household items are also displayed at West Coast Living Thomasville. Sure, Christmas shopping could get tiring as much as it’s exciting. You can take a break in the center’s restaurants like Starbucks, Chronic Tacos, East Coast Bagel Company, or Las Golondrinas. There are also banks and other services available in the area. Start your Christmas shopping in one of the reliable shopping centers in Laguna Niguel, Plaza de la Paz Shopping Center. You can get some list on your Christmas shopping list while helping others with cancer at the American Cancer Society Discovery Shops. Fashionable shoes for all occasions are also available at the Off Broadway Shoes. Stroll around the plaza to find great deals for your gift-giving with family and friends. Stop by some restaurants to quench your thirst and feed yourself. There’s also a Sprouts Farmers Market in the area for those who plan to shop for the Christmas feast. One of Laguna Niguel’s premium shopping centers in the Ocean Ranch Village. It’s the perfect place to do your Christmas shopping. There are 146,669 square feet of prime retail, dining, entertainment and office space. Shop at Bed Bath and Beyond, Fleet Feet Sports, or Blue Eyed Girl. Trader Joe’s is also in the area if you plan for a Christmas grocery time. Food stalls are also in the are in case you need a break from all the Christmas shopping you did. More shops and services are available in the center that you may need for that busy day! Have your Christmas shopping at Laguna Niguel Plaza in Orange County. Albertsons is on the area where you can find great deals for your Christmas table and some goodies to your relatives and friends. Drop by at the True Desire shop to find trendy items that can be a perfect gift for everyone on your list. Restaurants and other food stalls are available in the area like Baja Fresh Mexican Grill, McDonald’s, and Subway. These places are perfect for some Christmas shopping break. Head here for your holiday shopping and remember to come in early! 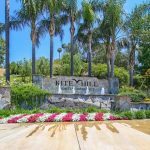 The Shops at Mission Viejo is just a short drive from your Laguna Niguel home. It’s one of the best shopping centers in southern Orange County. It has so many shops so you can go around the center and find all the things on your list. Christmas can’t get any better with the deals some of the retail stores offer. Some of the stores in The Shops at Mission Viejo are Abercrombie and Fitch, Banana Republic, Billabong, Disney Store, H&M, and so much more. 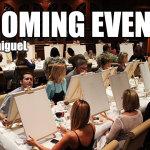 Bring your shopping list and get ready for some fun Christmas shopping in Laguna Niguel! Nothing gets more exciting during the holidays in Southern California than the annual Laguna Niguel Holiday Parade. 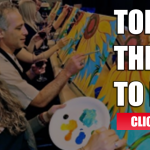 This tradition is one of the highlights come December of each year in Laguna Niguel. 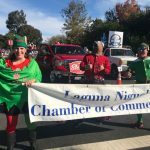 Laguna Niguel Parade is a delightful holiday event that showcases one of Orange County’s newest, neatest cities with its family-fun atmosphere. Southern California locals are waiting for this day to kick off the holiday season. Laguna Niguel Holiday parade 2018 will include marching bands, floats, special celebrity guests, enthusiastic youth groups, equestrian units, exotic cars, military members, local heroes, world-class athletes, and fun attractions! It’s an event worth watching. Adults and children alike will go home with happiness. This year’s Grand Marshal is Richard Burgi. He is a known American film and television actor. Burgi played as Detective Jim Ellison on The Sentinel and as Karl Mayer on Desperate Housewives. He lives in Laguna Niguel with his family. Other celebrity guests are Ashley Argota and Thomas Hobson. Both amazing Nickelodeon actors will star on Laguna Playhouse’s holiday production of Beauty and the Beast, A Christmas Rose, a Lythgoe Family Panto. They are both proud to bring holiday spirit to Southern Orange County families through their live theater show. This parade will not be complete without the magical appearance of Santa Claus! Just like the previous years, he will surely have a grand entrance to open the holidays in Laguna Niguel officially. Parade watchers are encouraged to bring seats with them. Sitting on the street is highly discouraged to respect the new landscaped center medians. Please also be reminded not to sit or stand on the plants. Be mindful of your surroundings. You may sit along the edge of the concrete. Just like the previous parades, the Laguna Niguel Holiday Parade 2018 will be on Crown Valley Parkway between Nueva Vista and Crown Valley Community Park. Entries and guests’ drop-off area is at the northwest corner of Moulton and Crown Valley Parkway. Grab the chance to ride in the Free Shuttle to the parade. Laguna Niguel Parade Committee has made arrangements for Shuttle Transportation. The shuttle will be available from the Southwest Corner of the Ziggurat Parking lot to the mid of the parade route on La Paz and Crown Valley Parkway. A “Pick Up” location signage will be posted in the parking lot and a “Drop Off” location signage for the return to the parking lot. The shuttle will be on a 5-minute turn around schedule. The free shuttle for the Laguna Niguel Parade 2018 will start from 8 AM from the parking lot (make sure to be there early!). It will further operate during the parade and will continue until 1 PM. The best months of the year has finally come! From November until the New Year’s Day, the magnificent beauty of Ritz- Carlton, Laguna Niguel features holiday activities for everyone. Don’t you dare miss out on the magic of this heart-warming celebrations. Be ready to be captivated by the lovely holiday decorations brought to you by this coastal-inspired hotel in Southern California. On November 18, 2018, the house and tree lighting activity in the resort will kick off the annual holiday. From 4 pm onwards, the festivities will start. Music performances from The Jeeps and the special appearance of Santa Claus will entertain you all. Guests are all welcome to bring a new and unwrapped toy for donation to Miracles for Kids. Non-perishable food items and canned goods are also welcome for the benefit of the Orange County Rescue Mission. This event is complimentary. For many years, Ritz- Carlton’s expert pastry team have been crafting a spectacular gingerbread extravaganza. These creations are available on public display until the New Year. Executive Pastry Chef Sylvain Haage will create this year’s holiday-inspired gingerbread extravaganza theme. Chef Haage and his talented team will spend more than 500 hours creating an incredible display that will be made out of an array of homemade gingerbread, colorful candy, baked goods, sweet treats, and other delectable pastries. Gather your friends and family on December 16, 2018. You can all decorate your very own large-scale gingerbread house. Chef Haage and his pastry team will give tips and tricks to create a gingerbread showpiece. For only $175 per Gingerbread house, you can enjoy 2 hours of fun and creative bonding with your loved ones starting 2 pm. For bookings and reservations, feel free to call Resort Services at 949-240-2000. Tag along with your tea time mates and enjoy the timeless tradition of Afternoon Tea. A wide selection of tram sweet bites and savory canapes is available at Bar Raya. Holiday Tea will be served from November 26 through December 13, 2018. Teas are served every Monday through Thursday of the week. For only $75 per person, all the guests can enjoy the lovely ocean view as you sip your kind of tea here from 2:30-3:30 p.m. Interested? Reserve a slot by calling Resort Services at 949-240-2000. On December 2, a festive gathering of canines and their companions will happen at The Dana Lawn. From 11 am-2 pm, Santa Paws will be there along with the furry participants. If you want to join with your pets, you’re encouraged to bring an unopened canned or dry dog foods and treats to support animals in need. Dog toys are also highly appreciated. This event is complimentary. Food and a wide selection of beverages will be available in the event. All the proceeds of this activity will benefit Canine Companions for Independence. Let your kids enjoy listening to the tales of the holidays by joining this event on December 7, 8, 14, and 15. This event will be held at the Eco-Adventure Center from 5 to 6 p.m. This activity is complimentary. Do you think your kids will enjoy this holiday experience? Then come here and don’t forget to bring a new children’s book to be donated to Miracles for Kids. This activity is available through January 31, 2019. Rates will start at $699 per night. Thanksgiving Day is one of the most celebrated occasions in America every year. This special holiday is celebrated every fourth Thursday of November. Traditionally, it’s the time for families to bond with turkey in the table centerpiece. Vegetables, potatoes, stuffing, cranberry sauce, gravy, and pumpkin pie are on the table as well! Many traditions are observed in celebrating Thanksgiving. Some families involve traveling to a relative’s hometown to mark the occasion with the rest of the family. Thanksgiving is one of the busiest travel days of the year! Having a sumptuous feast in the table is also part of the celebration. Thanksgiving isn’t Thanksgiving without turkey. While some kin loves celebrating Thanksgiving in their homes, there are also those who choose to celebrate the holiday in restaurants. Why not spend the entire day with family and loved ones and let someone else take the responsibility of cooking and cleaning? 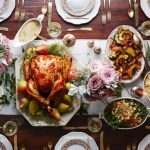 If you’re planning to dine out, it’s easy to find a special place where to have a Thanksgiving in Laguna Niguel. 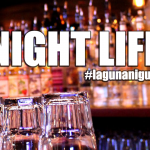 Check out these restaurants in Laguna Niguel and some nearby cities. The Ritz Carlton is one of the luxury hotel and restaurants in Orange County, so it only fits to celebrate Thanksgiving with them. On Thanksgiving Day, November 22, they will host a “Thanks-for-Giving Buffet.” The buffet costs $129 per person and is available from 12 PM until 4 PM. This special buffet includes your Thanksgiving favorites and a whole lot more. Make sure to reserve your spot for the meal, which will be set up in the Pavillion foyer. Thanksgiving menus will also be available for the resort’s on-site restaurants Raya and enoSTEAK. Splashes Restaurant at the Surf and Sand Resort is a nearby restaurant in Laguna Niguel that’s open for Thanksgiving Day. 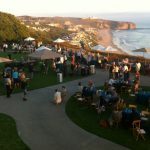 You can bring your whole family to enjoy fine dining with a beautiful view of the Pacific Ocean. They will host a four-course prix fixe traditional Thanksgiving menu for lunch or dinner. Note that the regular list will not be available on that day. The lunch seating will be on noon until 4 PM followed by the dinner seating which starts from 4 PM until 8 PM. A sumptuous Thanksgiving buffet awaits for families who choose to celebrate Thanksgiving Day at the Orange Hills Restaurant. The meal is available from 10 AM to 5 PM. Their buffet will feature a couple of some traditional favorites like turkey and traditional trimmings. There’s also prime rib, crab legs, sushi station, and bottomless mimosas. Buffet price will be $75 for adults and $35 for children aging from 5 years old until 12. On Thanksgiving Day, Winery Restaurant and Wine Bar will offer its guests with a three-course Thanksgiving menu. You will have a choice of five starters, entrees, and three dessert options. Entree choices include maple-glazed free-range turkey, salmon, flatiron steak, shrimp or a maple-glazed pork chop. Price for the Turkey Day meal costs $64.99 per adult. A children’s menu is also made available for kids 12 and under. Silver Trumpet is one of the best choices if you’re planning to dine out on Thanksgiving Day. They will serve an elaborate Thanksgiving Brunch Buffet. By dinner, they’ll host more traditional prix fixe Thanksgiving Dinner. Wine pairings are also available. Enjoy Turkey Day meal in their sophisticated windowed-dining room with outdoor patio. 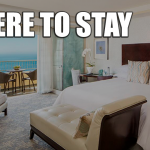 If you wish to continue celebrating Thanksgiving Day until the weekend, you and your family must visit the Monarch Beach Resort, a short drive from Laguna Niguel. They have a full weekend of Thanksgiving activities prepared for all their customers. They sponsored the Dana Point Turkey Trot run which starts from 6 AM until 11 AM in Dana Point Harbor.